★ Usage: Condensed Milk, Honey, Chocolate Sauce, etc. ★ Internal Lacquer: Type-Expoxy-Phenolic Resin. ★ External Base Coat: Type-Enamel;Colour-White. ★ Colour Ink: Suplier-Shanghai DIC. ★ Crimp sealant brand: PPG. ★ Manufacturing Environment: The construction of 100000-ton cleaning production packing workshop. 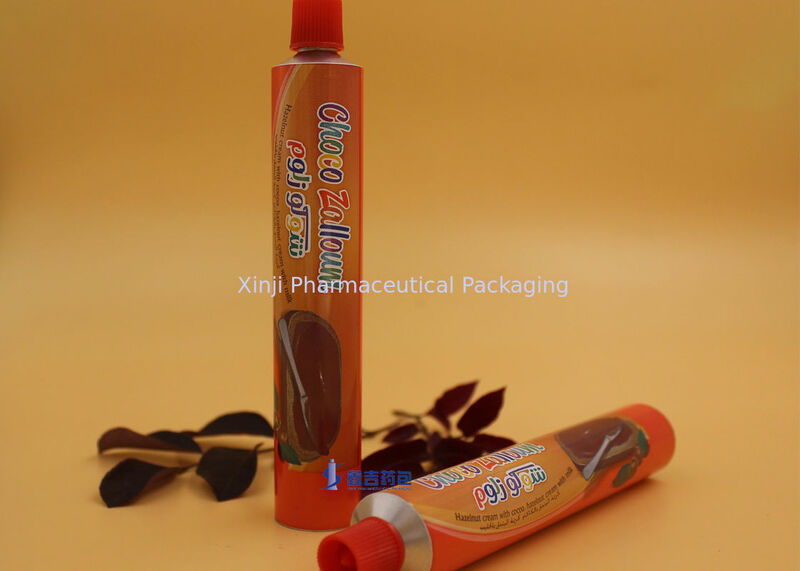 ★ The standard of Inspection: BS2006-86 Aluminum tube for medicine ointment. ★CAP: Colour - white / red / blue, Type - Conual Piercer, Material: HPPE. The quality management department is a specific department independent of others. Equipped with professional quality inspectors and inspection facilities, it implements effective supervision towards the whole process of all activities related to the product quality though continuously self-improvement quality management system. We adhere to “quality is out of production”, require strictly self-inspection, mutual inspection and routing inspection by operator and QC during production, to detect and solve quality problems, ensure the product safety and stability from source . Finished products gone through twice full inspection for outside tube defects, once full inspection for inside tube defects, once inside and outside casual inspection , once tightened inspection by QC .Through inspection at each process, the small probability defect of aluminum tubes reached the level of 6α. “make every aluminum tube trustworthy” as our quality concept to cover the whole process including products designing, developing, producing, transporting and servicing.